Tips | Gluten Free? Gimme Three! 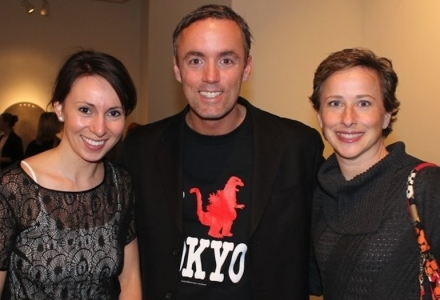 Me with Gluten Free Foodies Review’s Sean Dillon and Kelly Sajonia. Last week I attended The Hour happy hour event for the second time and met a few new gluten free bloggers based in DC – so I thought it would be a good time to put together a listing! It’s crazy how many blogs have come and gone in the last few years. All of these blogs have been updated recently so you should be able to count on them for updates! Let me know if I missed anyone! 1. Mari Vanna Russian restaurant is now serving lunch from 11:30 a.m. – 3:30 p.m. The kids’ pre fixe menu ($15) features gluten-free alphabet mac-and-cheese. Hopefully they don’t strictly enforce an age limit for that. 2. Sticky Fingers bakery in Columbia Heights is rumored to be applying for a liquor license. Which means there is the distinct possibility that I could have brunch there and eat gluten free french toast and drink beer. Winning. 4. Reston burger joint The Counter is debuting a gluten-free menu (according to Eater). In my book the most important thing on the menu are the gluten free chili cheese fries. 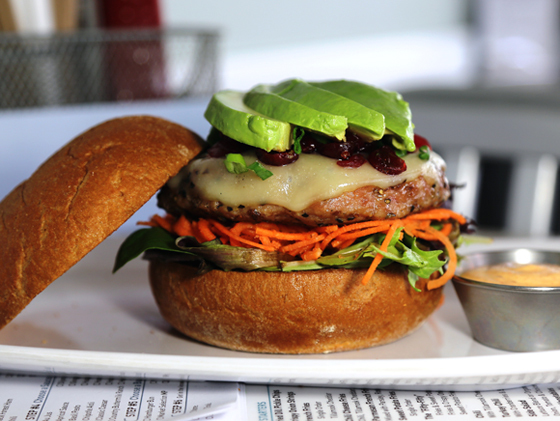 But you can also build your own gluten-free burger, and offers some predesigned options that fit the category, like a Cranberry and Avocado Turkey Burger on a gluten-free bun. The restaurant will also offer gluten-free milkshakes, Tweason’s Ale from Dogfish Head, and wine. 5. Newton’s Noodles will be opening downtown in June. Customers will have a choice of rice gluten free noodles or soba, plus a choice of sauce, proteins (shrimp, scallops, beef, chicken and tofu are all available) and vegetables. 6. Restaurant Eve provides a gluten-free tasting menu (in the Tasting Room) as well as very good gluten-free bread baked on site, with 24 hours’ notice. More on where to find a gluten free tasting menu on Chowhound. Anything else doing on around the District that I should know about? This is my first inauguration in DC, and boy am I excited! There’s a buzz of excitement in the air and as hundreds of thousands of people descend upon the District, I thought I’d compile a few recommendations for gluten free travelers! 154 bars in DC will be open until 4:30am during inauguration weekend. Way past my bedtime – but here’s a map of where they are! 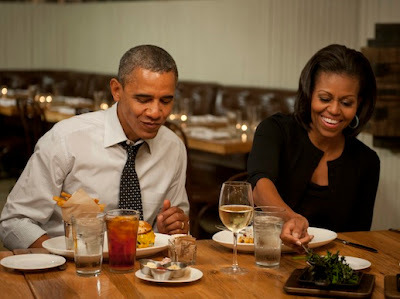 If you haven’t experienced a true DC brunch, this is your opportunity! There are quite a few restaurants opening on Monday for brunch, and my recommendation is Firefly in Dupont, since they have a gluten free menu, and are a bit removed from the action on The Mall, but still very accessible. Get yourself some grits, drink some mimosas, and celebrate four more years! According to Eater DC, there will soon be a B.J.’s restuarant opening. Their gluten free menu has thin crust pizza and broccoli cheddar soup! And gluten free beer! And (stop the presses) a gluten free chocolate chip pizookie! It’s a pizza-sized cookie topped with ice cream. Completely unnecessary in its size, but perfect for the moment you give up your New Year’s resolution. There’s still time to sign up for one of these classes, where you will learn how to make gluten free ravioli! I’ll be going to the January 23rd class! Anything else going on around the District that I should know about? Check out what I’ve been eating lately on my Facebook page: Gluten Free in DC! This picture of me shocked my friends and family. That food on my fork? That’s turkey. Not tofurkey, but real, bonafide animal meat. The shocking part? I haven’t eaten meat in over seven years. So why start eating it again now? Because I reached my breaking point. I reached a point where my moral stance against the meat industry and overall disinterest in eating meat filled with hormones and other nasty things was outweighed by my frustration with celiac disease. There were so many times when I would go to a restaurant or party and think, “If I only ate meat my life would be so much simpler right now.” I never actually had the urge to eat it because the thought grossed me out, but I sure thought about it. I made the decision to start eating seafood when I was diagnosed because I felt like I couldn’t anything at all (plus I love the taste of seafood and have fewer qualms with eating it). However, lately I’ve been thinking about eating meat more and more. Thinking that a little bit of organic, humanely-treated turkey or chicken every once in awhile isn’t going to kill me. It actually could make me feel better and more satisfied with my diet. It could simplify my life and take some of the pressure off of me when dining with others. And it’s probably healthier than eating so many soy protein-based foods (which I’ve tried to cut down on). 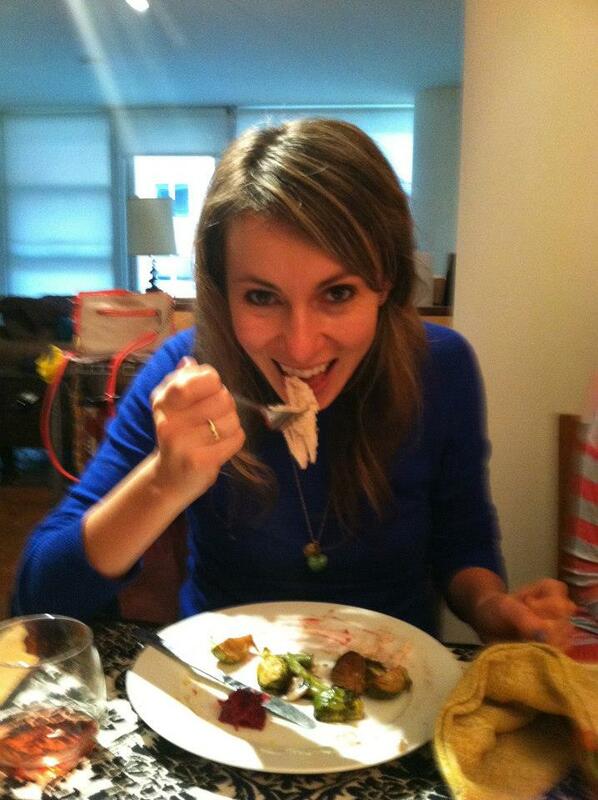 So, I used Thanksgiving as a test run and had a little turkey with my meal. I’ll admit, the first bite was kind of hard to get down because I wasn’t used to the texture. But after that initial few chews, I was fine. Since then I’ve had a couple of bites of turkey in a salad and on a sandwich, and it’s been…nice. It fills me up, and I don’t mind the taste. Now, I don’t plan on becoming a huge carnivore, or eating pigs and cows any time in the foreseeable future. But I’ve realized that eating a little white meat every so often doesn’t diminish my beliefs about vegetarianism. It’s just helping keep me sane! Voluntarily limiting my options in my gluten-free diet was always a struggle, so now I’ll have a few more things I will eat. I’ll make it a point to get quality meat, so I feel good about my decision each time I cross the aisle to the carnivore side, but I’m loving the feeling of having more options open to me. What do you think? Have you ever tried something new or something you didn’t think you like in order to expand your palette on a gluten free diet? These are a few things I’d love to have, and I think would make great Christmas gifts for any Celiac out there. For more ideas see my 2011 gift guide and 2010 gift guide! 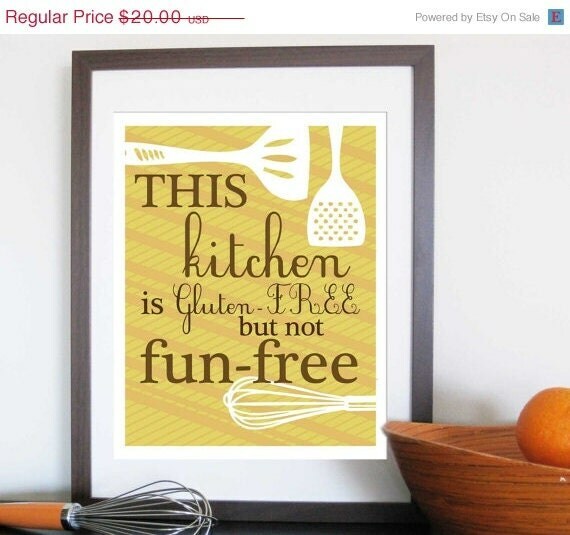 I’d love to have this hanging in my kitchen some day! When it comes to beauty products, lipstick is one thing that you must make sure is gluten free. I sampled this lipstick at the DC gluten free expo and loved the “Flirt With Me” shade. Get a special deal when you order from Delight Gluten Free Magazine! 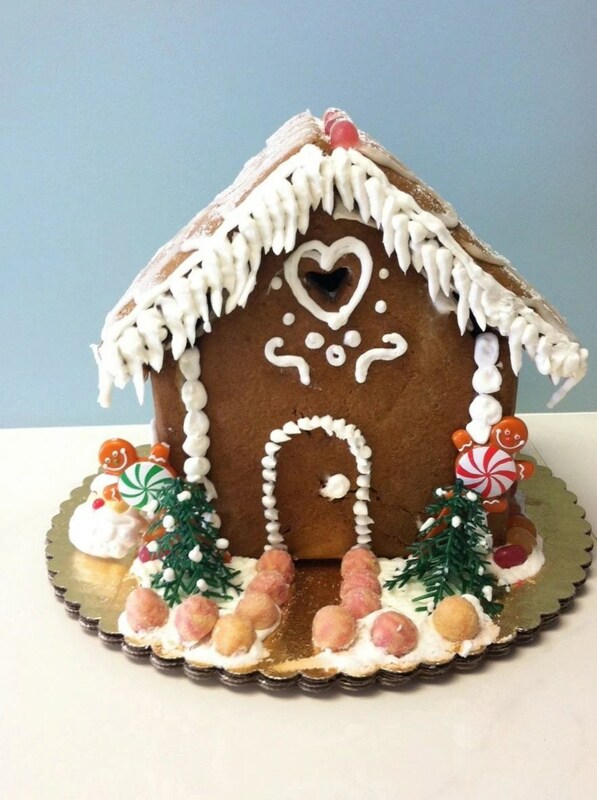 I’m way too lazy to attempt to make one of these on my own, so this kit from Sensitive Sweets is perfect! 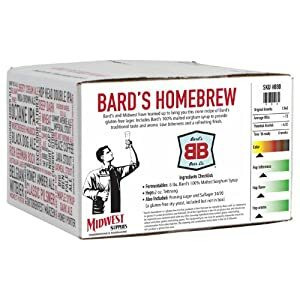 Now, I wouldn’t say that Bard’s beer is my favorite (because, obviously that honor goes to Omission beer). But the idea of brewing your own beer at home is pretty rad (especially for those people who can’t find gluten free beer in their area). What did I miss? What’s on your gluten free Christmas list? I love me some hard cider. The chefs at Meridian Pint in Columbia Heights are going to be pairing five Crispin ciders, including the new Bourbon barrel-aged release “Bird On A Wire” (bring it on! ), with gluten-free seasonal dishes like steamed bronzini with kaffir lime and lemongrass. Plus they’ll have lavender honey goat cheese cake for dessert. I’ll be there, and you should come too! I’m all for spreading the gluten free love to every inch of the District, so I’m excited to see a new blogger who is providing rankings and reviews of restaurants in DC from a celiac’s perspective. 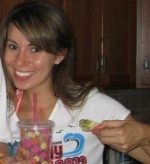 Check her out at out Glutie Foodie! Pick yourself up a walnut date bar or cookie at Columbia Heights Coffee from a new gluten free baker in town: The Gluten Free Muffin Man! Anything else going on around this fair city that I should know about?